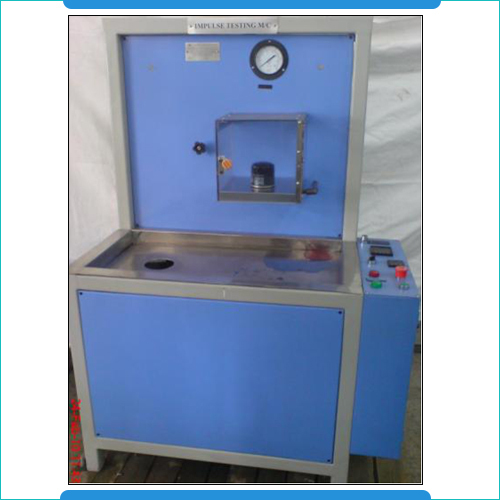 The RV and Anti-drain testing machines are available with stainless steel tank with the capacity of 15 ltrs. Further, these feature digital temperature indicators and controllers for oil tank as well as gear pumps with 1HP electric motors so as to ensure smooth performance. With operating power requirements of 440 V, 3Ph. 50Hz, 2.5 KW, some of the other standard specifications of these systems include presence of bypass valve and flow control valves, flow meter and pressure gauge, fixtures for clamping of relief valve caps and facility to fit different diameter of caps. Digital temperature indicator and controller for oil tank. Gear pump with 1HP electric motor. Bypass valve and flow control valves. Flow meter and pressure gauge. Fixture for clamping of relief valve cap. Power: 440 V, 3Ph. 50Hz, 2.5 KW. The Impulse testing machines is used for testing hoses, rigid tubes, filters, actuators, cylinders and fittings. These impulse testing machines are available in mild steel pipe frame work finish with a single hydraulic tank fitted with heaters. The system also features digital temperature indicator and controller and hydraulic gear pumps that are fitted on the tanks. 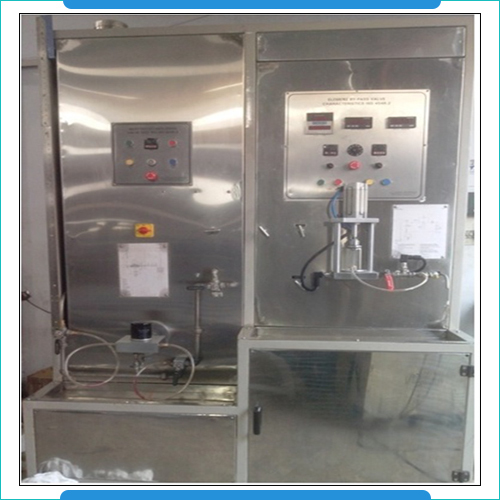 Some of the other standard specifications of these testing machines include timers with solenoid valves operation, digital preset timers and pulse counter, pressure regulator with high pressure hoses and hydraulic fittings, fixtures for mounting of one filters and polycarbonate guard for all filters. MS sq. pipe frame work. One hydraulic tank fitted with heaters. Tank fitted with hydraulic gear pump. Solenoid valves operation controlled by timer. Digital preset timers and pulse counter. Pressure regulator with high pressure hoses and hydraulic fittings. Fixtures for the mounting of one filters. Polycarbonate guard for all the filters.